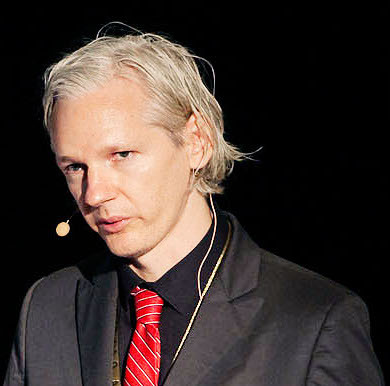 A deal that was being discussed last year between Assange and U.S. government officials would have given Assange “limited immunity” to allow him to leave the Ecuadorian Embassy in London, where he has been exiled for six years. In exchange, Assange would agree to limit through redactions “some classified CIA information he might release in the future,” according to Solomon, who cited “interviews and a trove of internal DOJ documents turned over to Senate investigators.” Solomon even provided a copy of the draft immunity deal with Assange. If that was the reason Comey and Warner ruined the talks, as is likely, it would reveal a cynical decision to put U.S. intelligence agents and highly sophisticated cybertools at risk, rather than allow Assange to at least attempt to prove that Russia was not behind the DNC leak. The greater risk to Warner and Comey apparently would have been if Assange provided evidence that Russia played no role in the 2016 leaks of DNC documents. To continue reading: Did Sen. Warner and Comey ‘Collude’ on Russia-gate?